In the wake of some beloved local coffee shops announcing the news of shuttering their doors, I am so very happy to hear that one of those shops, Steady Hand Pour House, will continue to remain open, but within a new venue.... 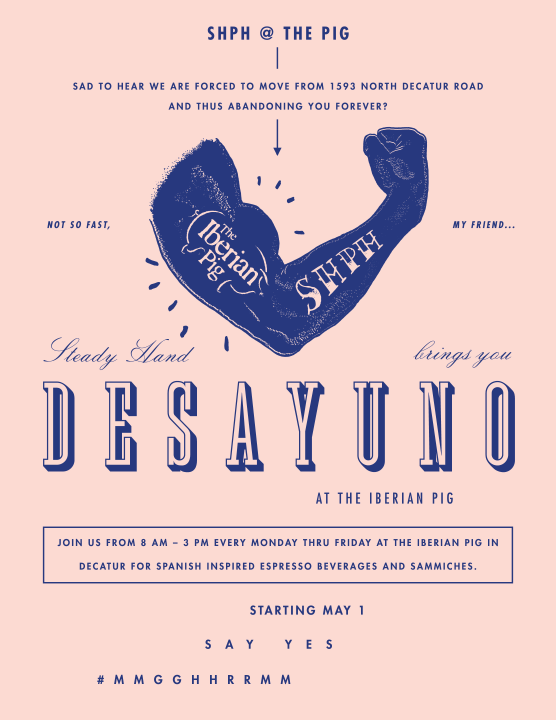 The Decatur restaurant The Iberian Pig (located in the heart of downtown on the Square) revealed details last week of their upcoming partnership with Steady Hand. In an effort for patrons to continue to enjoy their handcrafted cappuccino and coffee, Steady Hand will operate a coffee shop within The Iberian Pig starting May 1, Monday - Friday from 8am-3pm (photo above).